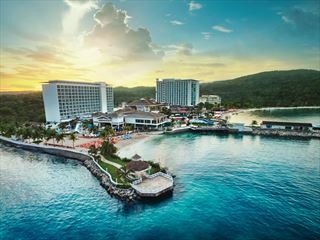 Hyatt Ziva Rose Hall, Jamaica. Book today at Tropical Sky. 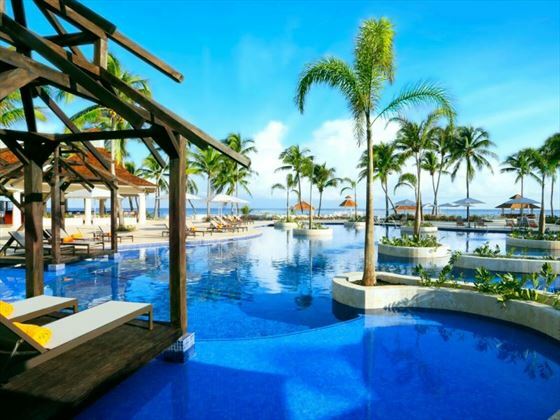 Welcome to paradise at Hyatt Ziva Rose Hall, a luxury, All-Inclusive, all ages resort. 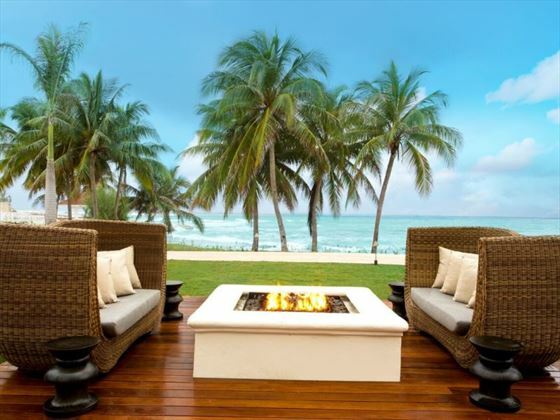 With luxurious suites, incredible ocean views, international cuisine and indulgent amenities, this tropical retreat is the perfect place for a romantic getaway or a family holiday to remember. 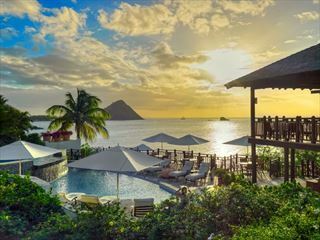 Hyatt Ziva Rose Hall is located in the extravagant Rose Hall Estate, nestled on the beachfront with stretches of white-sand and the sparkling Caribbean Sea at its doorstep. The resort is close to soaring green hillsides, and only five minutes from two champion Rose Hall Estate golf courses. If you want a break from the relaxing beach, there are zip-lining and other exciting excursions nearby. Ziva King or Double – Traditional, sophisticated rooms with a fully furnished terrace overlooking the swimming pools or luscious gardens – sleeps up to four people. Ziva Resort View King or Double– Bright and colourful rooms with a large bathroom and gorgeous garden views from the private terrace. Maximum occupancy is four guests. Ziva Deluxe Resort King or Double– Enjoy sweeping views of the beautiful gardens from your private terrace, with plush king size beds and a big bathroom, sleeps up to four people. Ziva Ocean View Double or King– Chic rooms featuring widespread views of the Caribbean Sea from the fully furnished terrace, with an extensive bathroom and elegant décor and sleeping up to four. 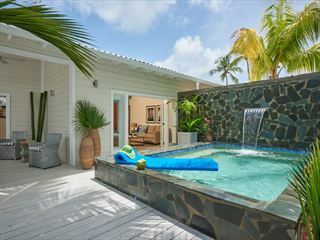 Ziva Ocean Front Double– Revel in the natural beauty of the Caribbean Sea with these ocean front rooms, with a fully furnished terrace right on the beach. Maximum occupancy is four guests. Ziva Swim-Up King or Two Double Beds – Enjoy direct access to the pool with these classy swim-up rooms with views of the pool or the lush gardens. Only available to guests aged 13+ and sleeps up for four people. 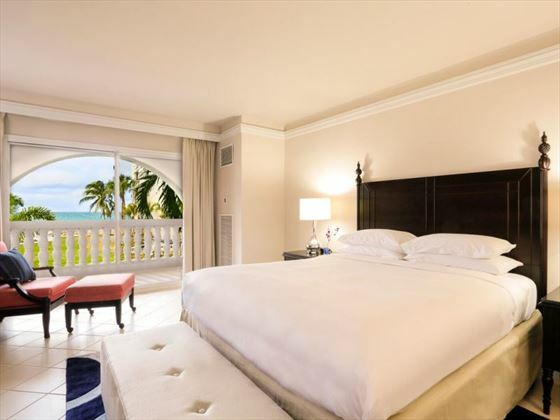 Ziva Ocean Front Junior Suite King or Double – Large rooms with secluded views of the Caribbean Sea and ocean-facing beds. These suites also feature a sofa and refreshment centre, sleeping up to four guests. Ziva One Bedroom Ocean View Swim Up Butler Suite – Similar amenities to the One Bedroom Ocean View Butler Suites, plus direct access to the swimming pool and room for four guests maximum. Ziva One Bedroom Ocean Front Butler Suite – Beautiful suites with the same amenities as the One Bedroom Ocean View Butler Suite, plus direct access to the golden beach from the fully furnished terrace and space for four guests. Presidential Suite – Luxurious penthouse suites with breath taking sea views and private Butler service. These fantastic suites feature a sitting area, a whirlpool tub, walk-in wardrobes, a living room and a dining room. 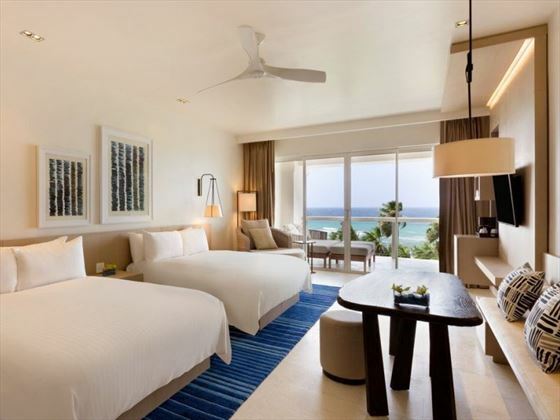 Ziva Ocean View Butler Junior Suite – Magnificent suites featuring a sitting area, separate bedroom and its own Butler service. 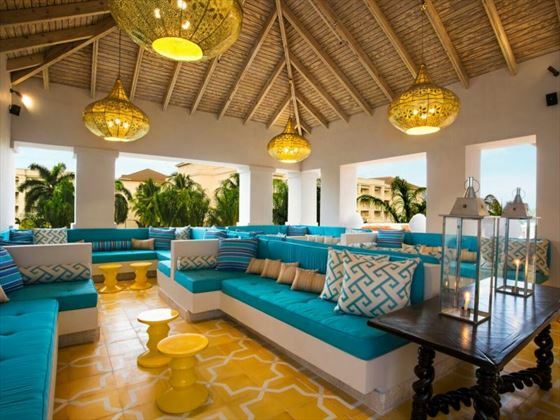 These rooms also include a terrace overlooking the beach. Maximum of four people sleeping. Guests of Hyatt Ziva Rose Hall have a choice between a wide range of indulgent eateries, with decadent cuisine and Premium Brand beverages. Choicez – A delicious a la carte restaurant, featuring a gourmet buffet serving food from around the world. Open breakfast, lunch and dinner with a Resort Casual dress code. 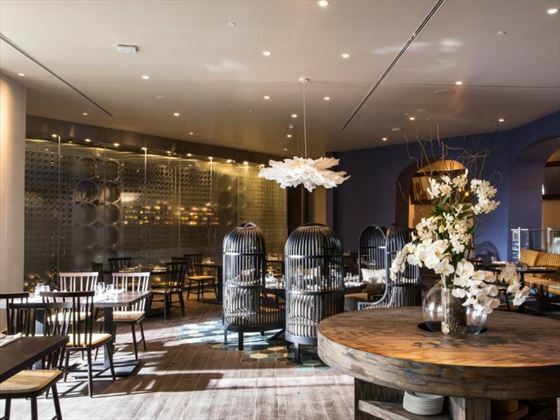 Di Roza – Sit by the warm fire place and tuck in to authentic Italian cuisine and exquisite wines at this friendly restaurant, open for dinner with a Resort Casual dress code. Calypzo – A cool, Caribbean style restaurant with freshly-caught seafood, canoe tables, an open kitchen, and lovely ocean views. Open for dinner with a Resort Casual dress code. Brazil – A Brazilian churrascaria restaurant, with waiters offering sumptuous grilled, skewered meats to your table, a true taste of Brazil. Open for dinner with a Resort Casual dress code. 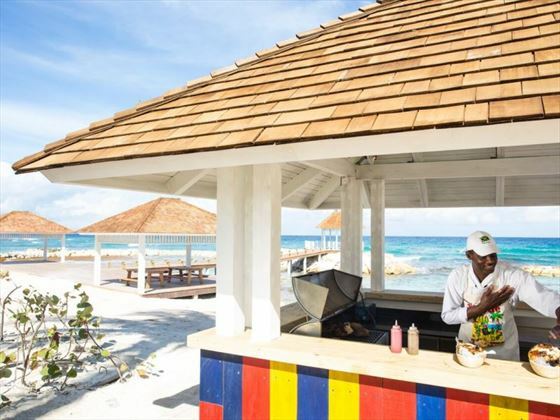 Barefoot Jerkz – Taste traditional Caribbean cuisine in relaxed grass cabanas and a traditional jerk shack, including deliciously spiced jerk chicken. Open for lunch with a Beach Casual dress code. 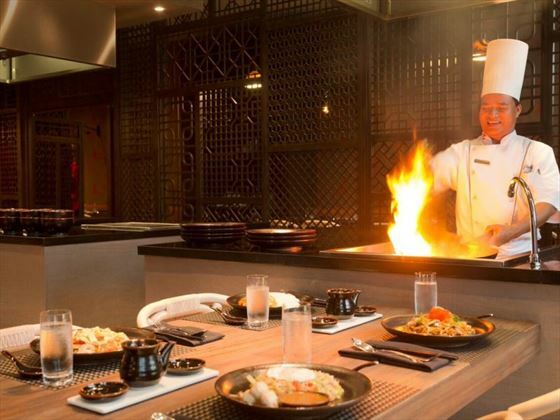 Fuzion – Head to the innovative Teppanyaki show stations and watch as chefs prepare rich Asian food. Open for dinner with a Resort Casual dress code. Bitez – Grab tasty gourmet meats, cheeses and veggies sandwiched between freshly baked breads at this casual jaunt. Open mid-morning to late-night with a casual dress code. Again, Golf is a key seller here. Ziva guests receive one free round on the world class “White Witch” golf course on the Rose Hall Estate. It is regarded as one of the finest in the whole Caribbean. Other golf option is the Cinnamon Hill course – which guests have discounted green fees on. Hyatt Ziva Rose Hall has its own KidZ Club for children and teens, including fun pyjama parties, eco-adventures, handcrafts and board games at Rose Hall Village. All facilities and activities listed above are included in the resort’s All-Inclusive package. As part of Hyatt's Evolution of All-Inclusive scheme, Hyatt Ziva Rose Hall brings a whole new level of luxury to the term 'All-Inclusive'. 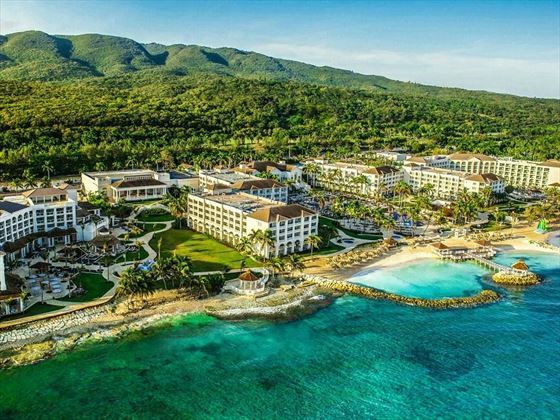 With indulgent restaurants, Premium spirits and champion golf courses, this resort will be sure to make you feel like royalty.